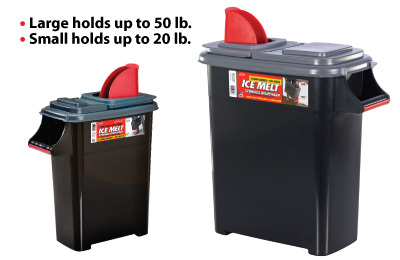 Buddeez’ Ice Melt storage dispensers are the perfect solution for storing and dispensing ice melt chemicals. 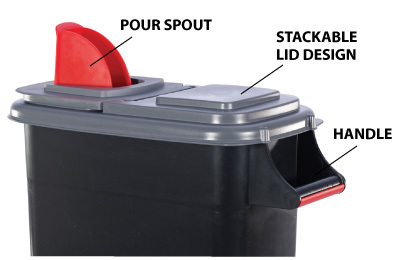 Made from up to 75% recycled plastic, the heavy duty dispenser features two ergonomic carrying handles plus an ingenious dual-action lid. 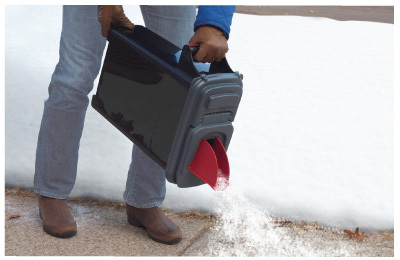 Users can scoop from the wide flip top, or fold up the built-in spout and pour.